The Canning Doctor: Hoppy Beer, Now with Extra Hops! As I said in the previous post, I was in Ohio over the holiday weekend. I got back this morning; everyone else is returning this evening but I have to work and I was concerned about airport delays. Considering the havoc that the recent storms wrought on air travel, my fears are not entirely unfounded, so it was best to give myself the extra time at home. It was time to do the second rack with the beer and add that foraged hops. 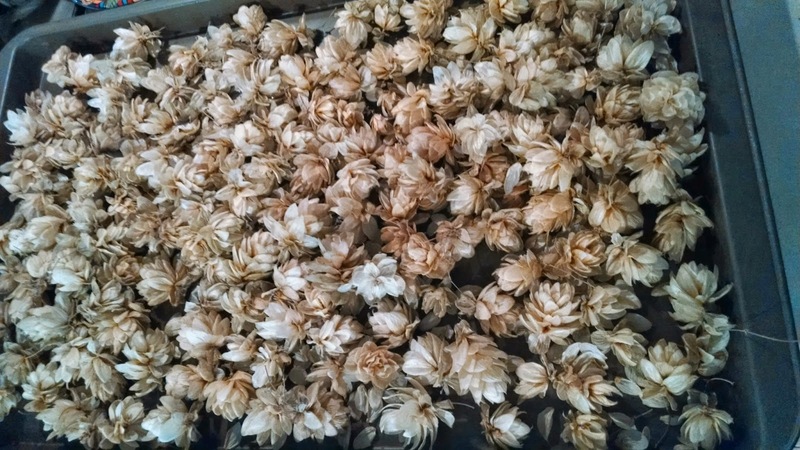 I toasted the hops in a warm oven for about 45 minutes and they lost a bit of their hoppy smell but took on a more toasted smell that could be (hopefully) interesting. The beer itself had a potential alcohol at this point of 1.5% so something has sure been happening in that fermenter! The specific gravity today is 1.010, also more like beer. 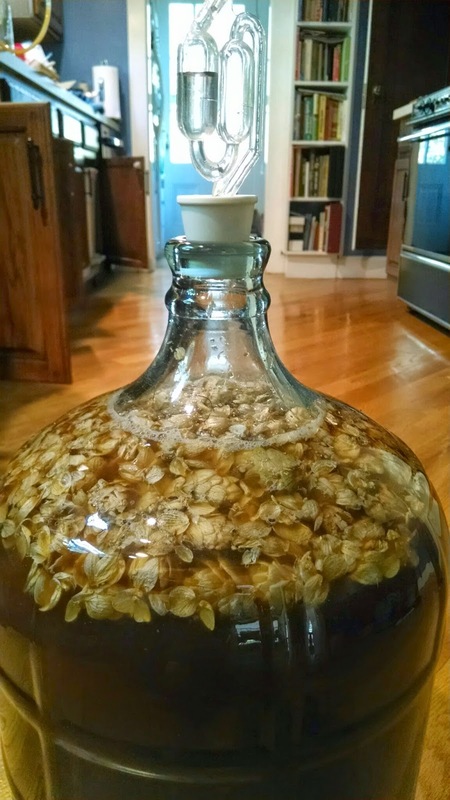 Cramming the dried hops into the tiny mouth of the carboy was a pain in the neck but I did finally get it all in there and siphoned the beer on top. Now it's resting under my desk in the kitchen, fermenting some more and, with luck, doing something tasty with those hops.